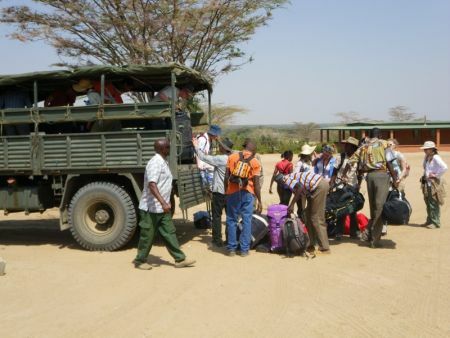 The flight left from Nairobi to Lodwar on the morning of the 17th of January and the students were met in Lodwar and driven the 3/4 hour to the field station at Turkwel. 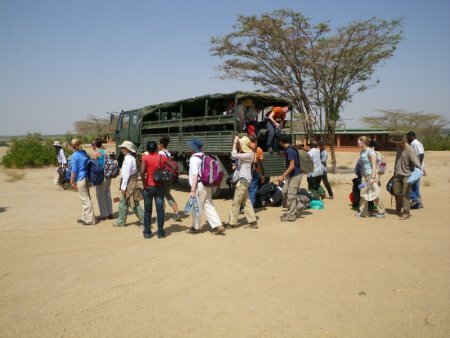 The students have all arrived safely at TBI Turkwel. Everyone disembarked from the truck in time for a late lunch. This was followed by an orientation of the rooms and a briefing that afternoon. 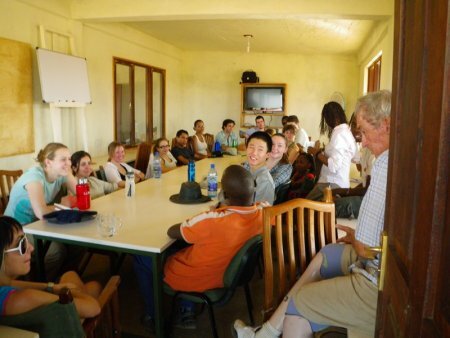 Richard Leakey gives the students a briefing in the teaching laboratory. 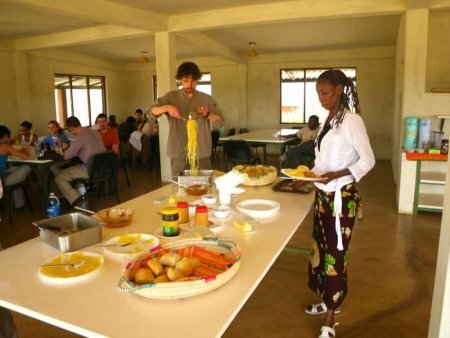 Classes for the first module, the Geology of the Turkana Basin, will begin today.